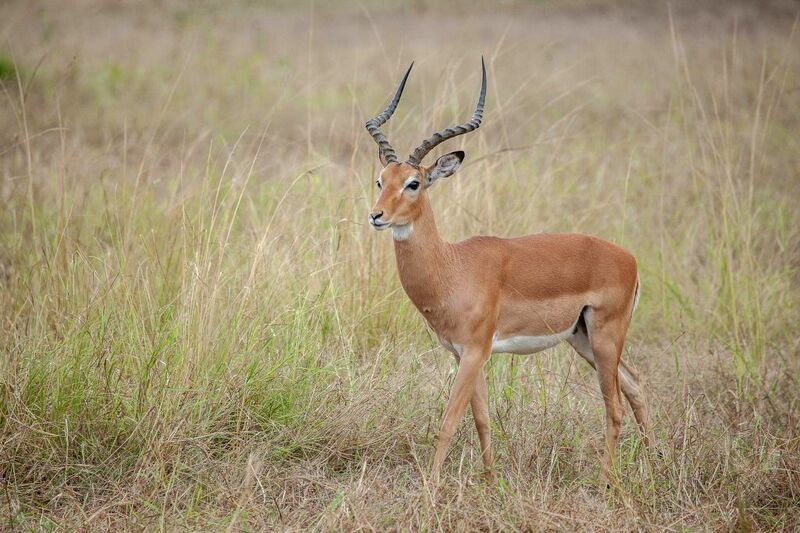 MAPUTO, April 23, 2015 - Photo taken on April 21, 2015 shows an antelope in the Gorongosa National Park, central Mozambique. The Gorongosa National Park is one of Mozambique's largest and well-known national park, with an area of over 4,000 square km of valley floor and parts of surrounding plateaus. The unique geographic features of Gorongosa at one time supported some of the densest wildlife populations in all of Africa, but large mammal numbers were reduced by as much as 95 percent and ecosystems stressed during Mozambique's long civil conflict at the end of the 20th century. The country has also been criticized by WWF and other environmental organisations as not taking severe measures against poaching, under which circumstance, the parliament passed a new law in April 2014 in order to crack down on poaching.